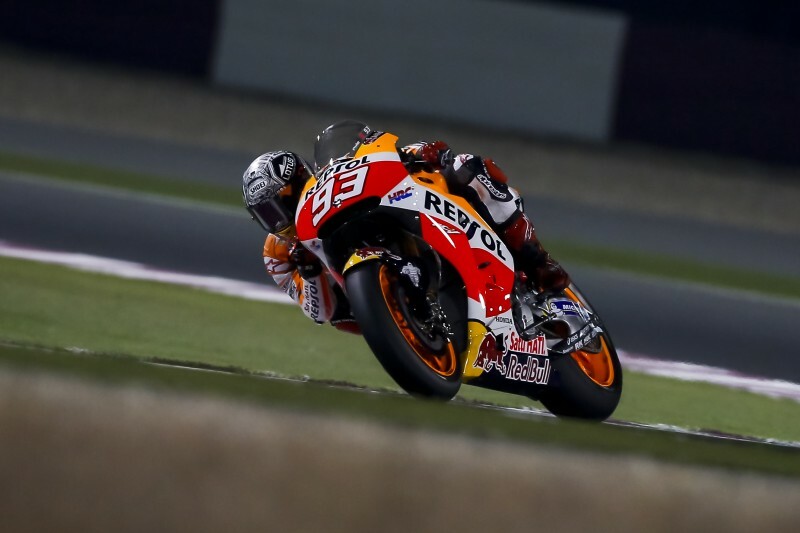 Night two of the pre-season test at Losail International Circuit saw Repsol Honda’s Marc Marquez entering the track a few minutes after 6 p.m. local time, with his teammate Dani Pedrosa following immediately afterward. 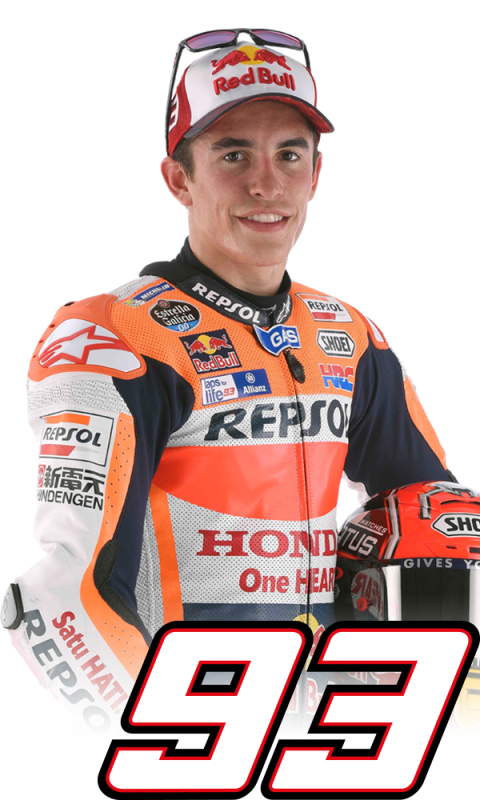 On his first run, Marquez improved on yesterday’s time by nearly half a second before crashing without consequences at turn one. He was able to quickly re-join the action and tried various chassis settings with his RC213V. 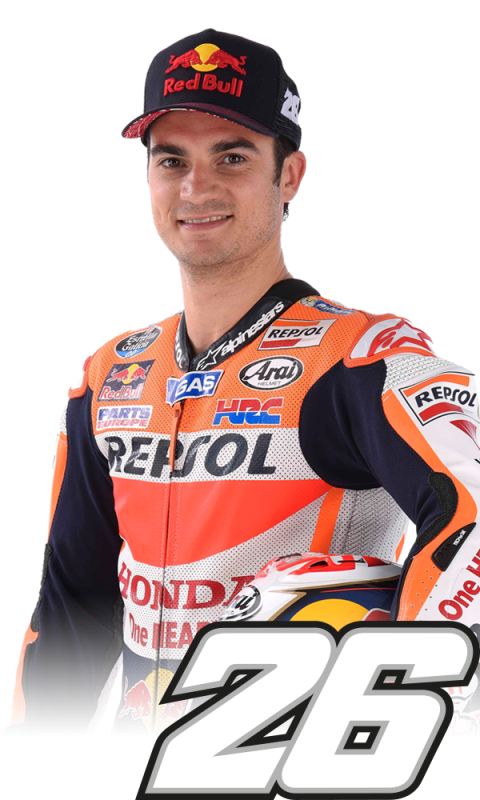 Pedrosa also tried a number of setup options, improving his pace as the evening progressed. 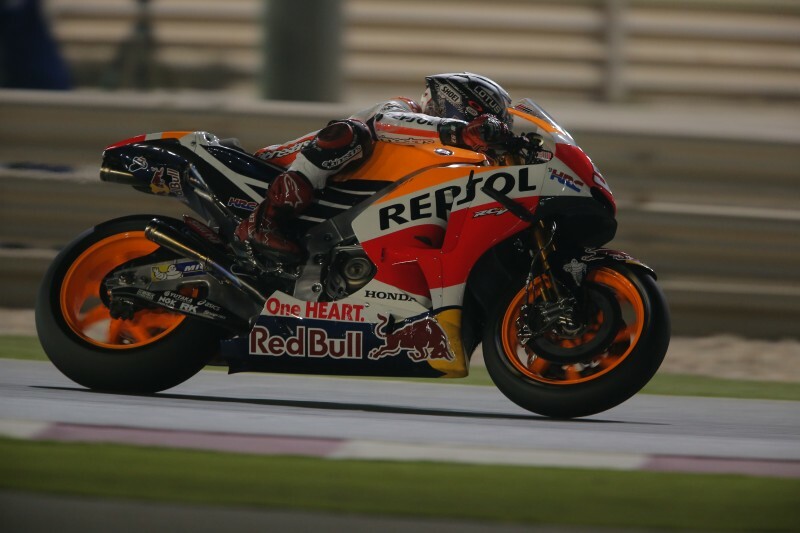 With approximately one hour remaining, both riders tried a new aerodynamic solution, using a new fairing with winglets. 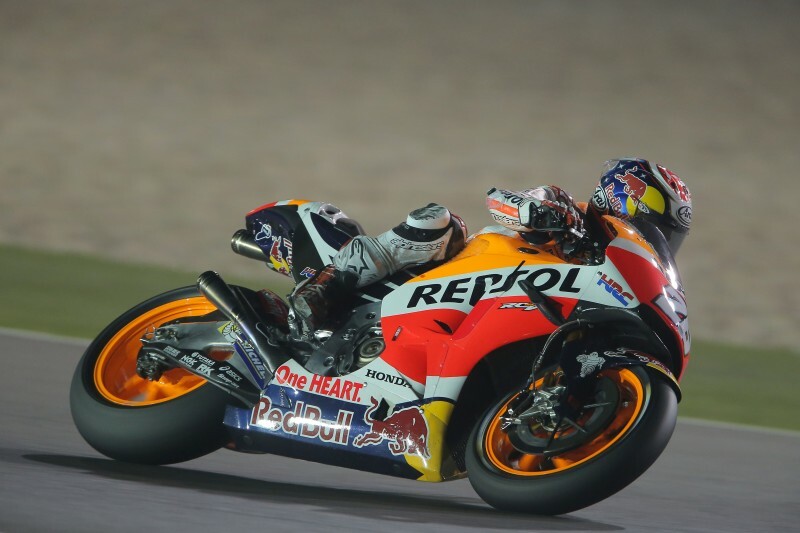 Marc rode 42 laps this evening, with his best time of 1’56.046 occurring on lap 4. 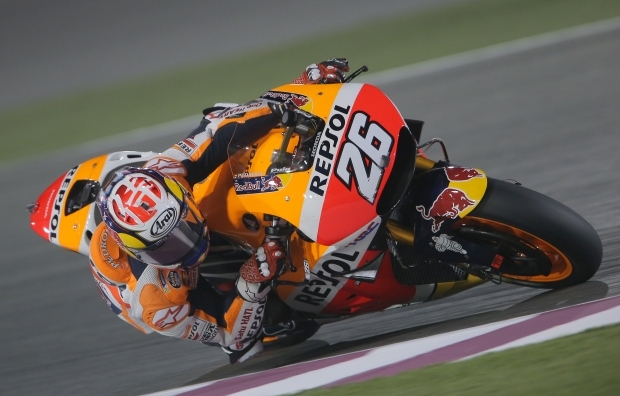 Dani also completed a total of 42 laps, setting his quickest time of 1’55.857 on his final lap. Temperatures were similar to the first evening, with air and ground maximums of 23° C.
The test will conclude tomorrow. 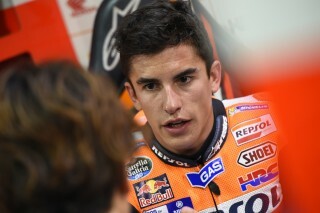 “We have improved a lot compared to yesterday even if I found it a little hard to get back on the pace at the beginning. 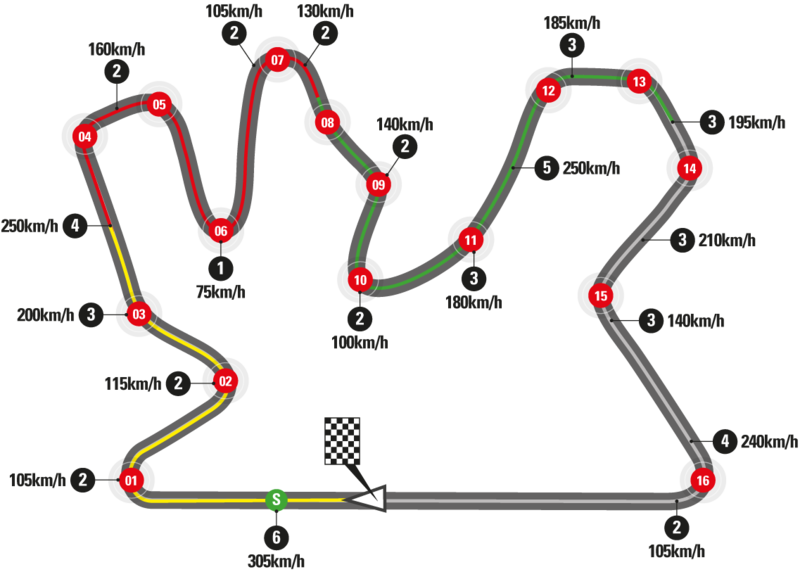 Later on I was able to do almost a full race simulation and was able to gain experience with the electronics and tyres. At the end we tried to improve our feeling, which is not as good as we would like, but we must be positive and improve step by step. We tested the winglets for the first time and they certainly change the feeling we have but the first contact went well. There are some positives and some negative things, but it was only the first prototype and I guess we'll have to change some things to improve the aerodynamics. 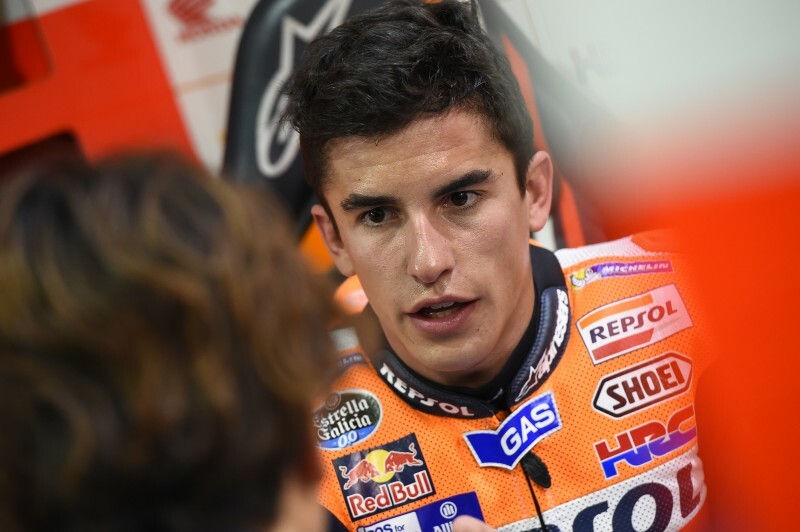 Let's see if tomorrow, on the last day of testing, we can take a small step forward in order to better understand where we can be in the opening race."